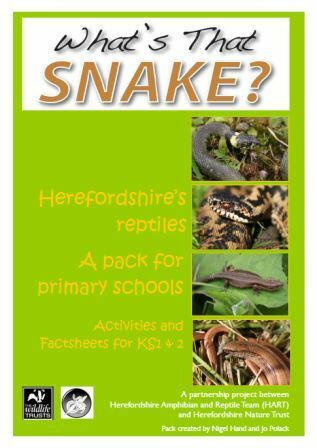 We are delighted to be able to bring you two unique resource packs developed especially for kids (at KS1 and KS2) by those clever folk at Herefordshire Amphibian and Reptile Team (HART) and the Herefordshire Nature Trust, with loads of fun activities, ideas and stories, to help you find out more about our very special native reptiles. 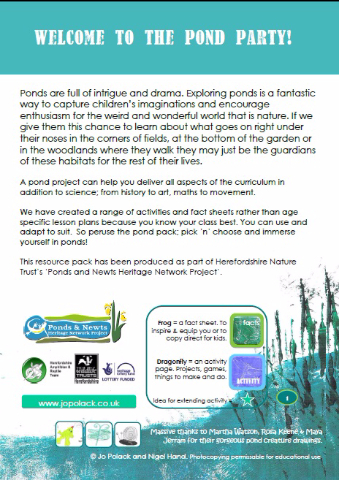 For reptiles we have 'What's the Snak'e, and for those of you with a pond at school or home, or even in your local park, a special 'Pond Pack'. Both packs have with lots of amazing ideas and activities for primary schools or kids at home. Please download and use at home or for your school, and let us know how you get on.